The gallery will be closed from Good Friday 19th April and will re-open on Tuesday 23rd April. Our current exhibition, 'Terence Coventry Sculptor', has been extended by popular demand and will now close on 27th April. To accompany this major retrospective, the gallery has published a fully-illustrated Catalogue Raisonné of Coventry’s sculpture, an indispensable reference tool for art lovers, collectors and dealers. As one of the few galleries to specialise in sculpture and related drawings and prints, we have an established reputation for works of quality and excellence by both Modern and contemporary artists. 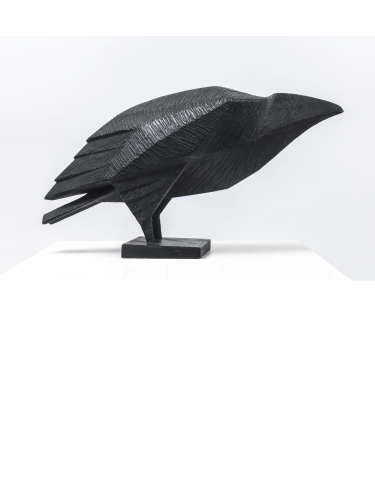 Sculptors regularly shown at the gallery include Anthony Abrahams, Ralph Brown, Jon Buck, Lynn Chadwick, Ann Christopher, Michael Cooper, Terence Coventry, George Fullard, John Hoskin, Jonathan Kingdon, Anita Mandl, Charlotte Mayer, Peter Randall-Page and William Tucker. Click here to download our General Catalogue. The initial inspiration for the gallery was the need for a showcase for the excellent sculpture cast at Pangolin Editions. Over the past twenty-seven years we have expanded enormously and now embrace a wide range of activities including major one-man shows, publications and collaborations with other galleries and museums. We also co-ordinate public commissions, curate exhibitions and act as artists' agents.